In the case before the WRC, the employee said she was left with no choice but to leave her job after the discovery. A DENTAL TECHNICIAN who returned work after a period of annual leave to find a hidden camera pointed at her desk has been awarded €5,000 after a hearing before the Workplace Relations Commission (WRC). She made this discovery while her bosses were on holiday, and asked them to discuss the camera when they came back. The employers made the case that there’d been a number of break ins in the area in recent months, and they’d placed the camera there to monitor the comings and goings of unidentified strangers on the premises. The WRC adjudicator did not accept that the camera was merely there to protect the employer and found it breached the trust that had existed between the two parties. The dental technician had been working for her employers for over a year before this incident. Her job involved specific duties related to making dental products as well as supporting the lab manager in the day-to-day running of the business. When she returned from a period of annual leave – the employer told the WRC she’d been lent their Spanish apartment – she was alone in the office. By her case, the technician found “a hidden camera [...] in a smart lever arch folder placed at the reception desk, taped to the wall, and pointed in the direction of her desk with an intermittent flashing light”. The lens was positioned behind a hole in the folder, and she was concerned it was recording. Neither the folder or the camera had been there when she’d left for leave a week previously. When her bosses returned from leave, she asked them about the concealed camera. It was her assertion that one of the managers was “quite aggressive and admitted he had placed a camera there for her safety and forgot to inform her”. It was her assertion this was illogical because it was pointed at her desk rather than the entrance to the premises. Having previously had a good relationship with her bosses, she said she was shocked by the chain of events and the lack of an adequate explanation. She took sick leave some days later before handing in her notice by the end of that month “on advice from her GP and family”. Following contact between solicitors representing the two parties, she brought the matter to the WRC. In their defence, the employers said they had become concerned about the security of the premises as the only other tenant in the complex had vacated its site but had commenced repairs to the property. One of the directors asserted that they had come across unknown workmen and had found the doors to the complex left open, and that there had been a number of break ins in the area where equipment had been stolen. 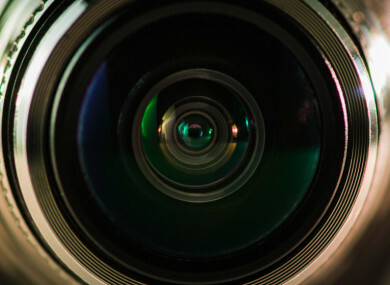 The director of the company said he “regrets” not advising his former employee of the camera that was installed. It was also his assertion that he apologised to her many times, and tried to meet her to repair the damage in the relationship. Further, he said that the camera never functioned while he was on leave and he understood the flashing light to mean it was on standby. The WRC adjudicator did not wholly agree with the employers assertions. She said: “That does no sit easily with a total absence of any reference to questions to her while they were away as to intruders or any strange occurrences. Neither does it sit easily with the fact that the photographic images submitted to the hearing seem to show that the camera was trained on the desk at which the complainant worked and not the entrance. If it was to detect the comings and goings of people as the respondent states, why was it not trained on the entrance. I accept that it might have been able to catch a wider frame than just the complainant’s desk but that does not explain its main focus. If it was to protect her from intruders or unwelcome visitors, why did it need to be hidden. That is the most puzzling aspect of this. Although saying the behaviour of the employer was a once-off, it was “sufficiently damaging” to the relationship of trust that had existed between the parties. Ruling that the former employee was entitled to claim constructive dismissal, a sum of €5,000 was awarded. Email “Dental worker who discovered hidden camera pointed at her desk awarded €5,000”. Feedback on “Dental worker who discovered hidden camera pointed at her desk awarded €5,000”.